By admin on February 25, 2013 in Did you know? 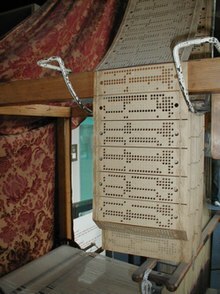 Who would have thought that cloth weaving and the invention of the first computer would be linked but read on and you’ll find out how. If you’ve ever bought quality curtains/drapes for your home or bedding then you may know the name Jacquard. 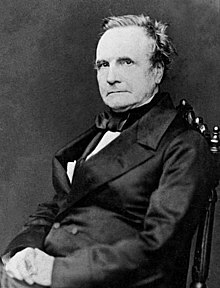 Monsieur Joseph Marie Jacquard was French as you’ve probably guessed and he came up with the idea of using printed cards to programme a loom to print cloth. This so incensed the home workers of the day who thought this invention would cost them their jobs that they started to sabotage the new looms. The word sabotage comes from the French sabot for wooden shoe or clog and they used their shoes to destroy the new machines. Similarly in the UK the Luddites did the same in Lancashire and the Northern Mill towns. On to the computer link and it was those printed cards to programme the looms which lit a bulb in Charles Babbage’s brain being the mathmatician he was to think how similar programmed cards could do mathmatical equations – hence the first mechanical computer. This was built from his design and is now housed at the Science Museum in London and it works too! Thanks to the wonderful Stephen Fry and BBC’s QI programme for the above. It’s not Welsh but jolly fascinating.